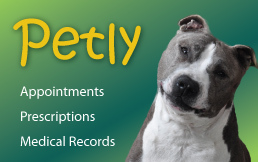 Our in-house pharmacy provides for your pet’s medication needs. We can fill or refill your pet's medication that we prescribe for your pet three convenient ways: (1) at your pet's appointment, (2) by calling us on the telephone, or (3) through our online pharmacy, PETLY. 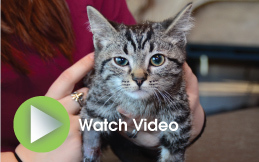 Veterinarians utilize many pharmacy products that are not available in human pharmacies. You can request a refill on any medication that we prescribed for your pet (please allow 24 hours to process your request). We also have Flea/Tick products, prescription foods, shampoos and other skin care products that are conveniently available for you at any time. Please note: if we have not seen your pet within the last 12 months or this is a medication that your pet has not been previously prescribed, we will not be able to refill or prescribe the medication without first seeing your pet for an exam. Please schedule an appointment by calling us 502-499-6535.